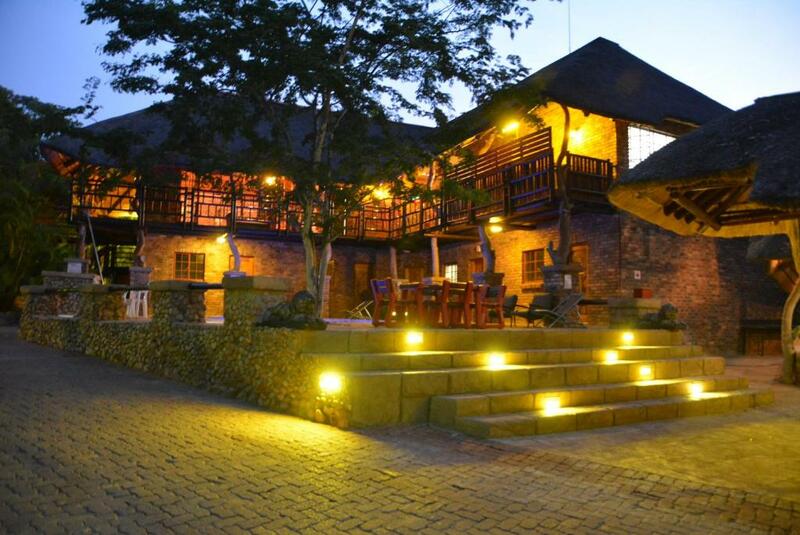 Lock in a great price for Jabula Lodge – rated 8.9 by recent guests! Amazing experience!!! We were leaving early for Krueger and we were shocked with an incredible breakfast to go. The owners are kind, caring, and so incredibly thoughtful. Can't wait to come back!!! The owner was very friendly and helpful. Breakfast was awesome!! Excellent service, hospitality,very clean place. The staff and owners are absolutely amazing. The owners are amazing. They make everything possible to offer a good experience to us. 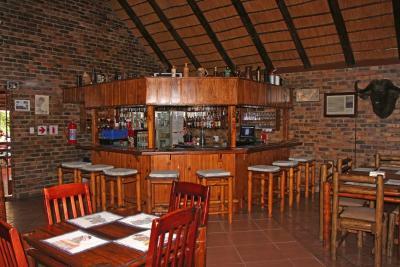 The lodge also is very comfortable and the restaurant is great. 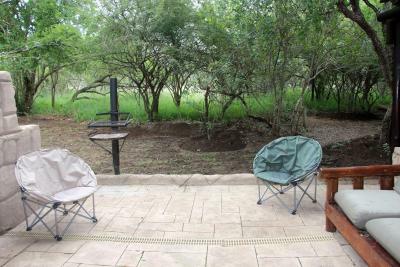 The location is nice, at Marloth Park, near the Kruger gate. All perfect for me, my wife and my mom. Very welcoming and easy going staff that matched our needs. The food was excellent et swiftly served. 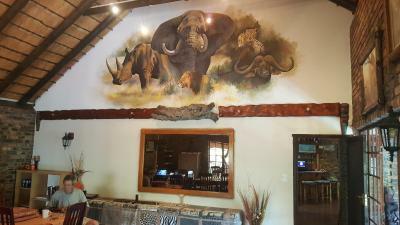 The advice given by Lyn as regard the Kruger park and the surroundings were very interesting. 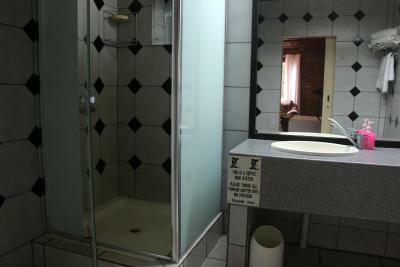 The premises were very clean and very comfortable. Beautiful location. Beautiful nature. Amazing and spacious rooms and very clean. Restaurant is the best and the staff is amazing. Lyn, you are amazing and so helpful. A place we will for sure come back. And let’s not forget the monkeys! The food was excellent. Their milkshake was out of this world. Their unlimited Wi-Fi made our vacation. Felt comfy and cosy, Liz was very nice and helpful. Had also very good dinner at the restaurant (make a reservation!). 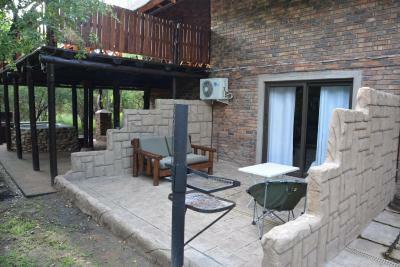 Stayed only 1 night, but marloth Park is very nice and Good situated to the gate. 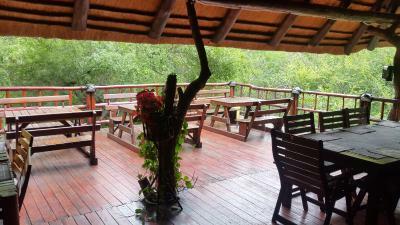 One of our top picks in Marloth Park.Featuring a restaurant and bar, Jabula Lodge is located in the Marloth Park Conservancy between Kruger National Park and Lionspruit Game Reserve. 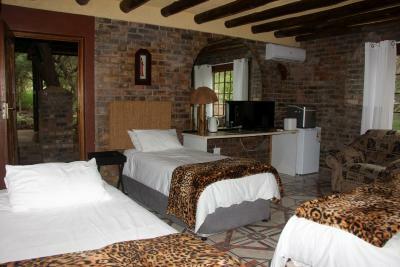 All self-catering units include a TV, pool, bush views and a private bathroom. The rooms have access to a communal kitchen while the villas and the holiday home feature a fully equipped kitchen. BBQ facilities are available. 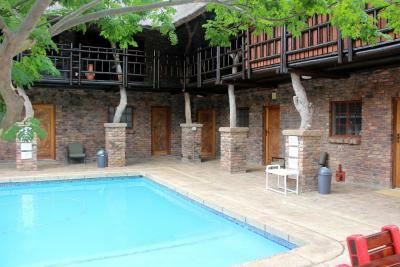 Jabula Lodge also includes an outdoor pool. You can play darts at the property, and bike hire is available. 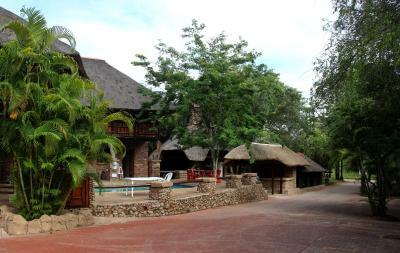 Komatipoort is 16 mi from Jabula Lodge. Kruger Mpumalanga International Airport is 41 mi away. 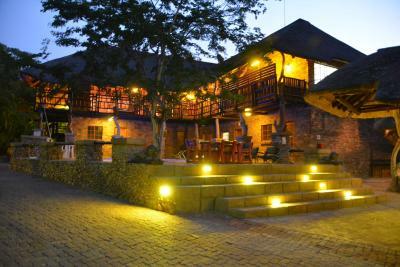 When would you like to stay at Jabula Lodge? 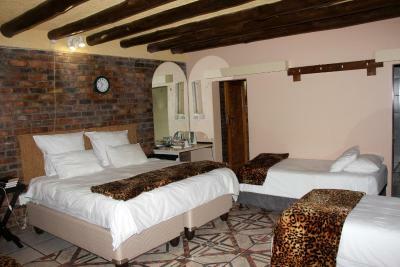 These air-conditioned and an suite rooms overlook the pool. 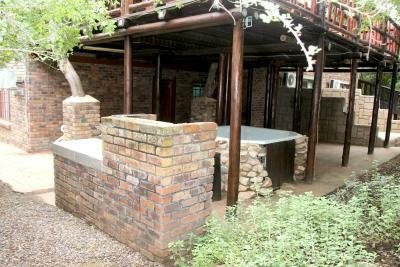 They offer satellite TV and tea-and-coffee making facilities. 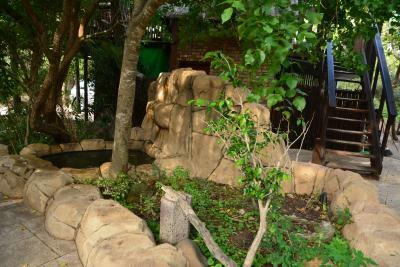 Guests have access to a fully-equipped and communal outdoor kitchen and BBQ facilities are available. 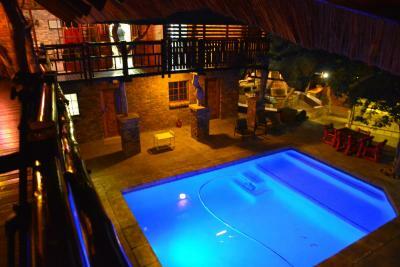 This villa has a kitchenette, splash pool and outdoor BBQ and entertainment area. This villa features a private entrance, tile/marble floor and kitchenette. 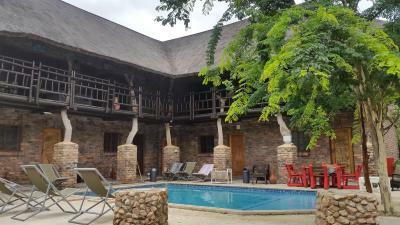 House Rules Jabula Lodge takes special requests – add in the next step! 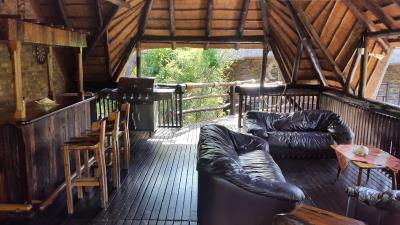 Jabula Lodge accepts these cards and reserves the right to temporarily hold an amount prior to arrival. 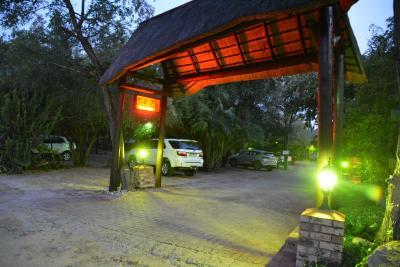 Please inform Jabula Lodge of your expected arrival time in advance. You can use the Special Requests box when booking, or contact the property directly using the contact details in your confirmation. Not having a microwave and bath in the apartment, my wife prefers a bath than a shower. The breakfast is heavy we prefer cereal or fruit salad. The place is peacefull the management made us feel welcome and the staff is friendly. Leon, Dawn, Lynne, Melissa and all the staff were awesome, they made you feel very welcome. Everything at Jabula is perfect. 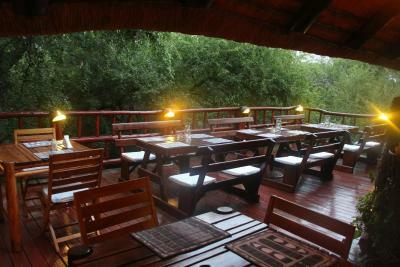 Hospitality and ambiance at Jabula Lodge was excellent! Food at the restaurant was outstanding and absolutely delicious!! Kindness and hospitality of hostess Lin. Everything was available to us to use to do our own thing for dinner.